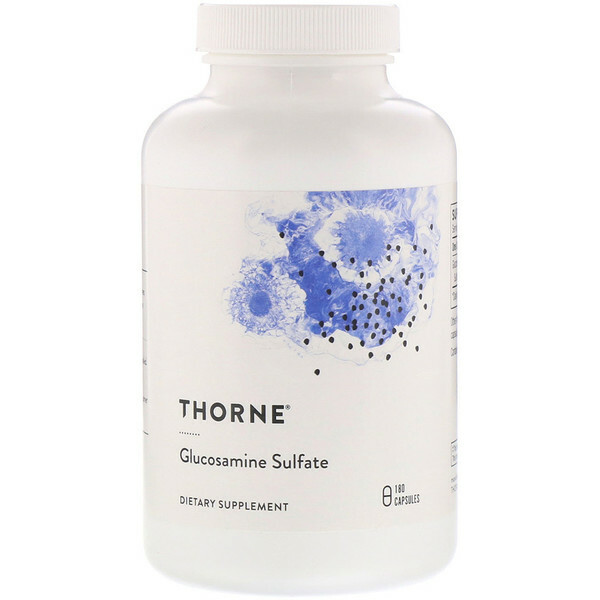 Glucosamine sulfate is capable of stimulating the formation of and inhibiting the degradation of glycosaminoglycans (GAGs) – important building blocks of connective tissue, including cartilage. Thus, glucosamine sulfate supports healthy cartilage formation. GAGs, such as chondroitin sulfates, are necessary to help maintain healthy joint structures. 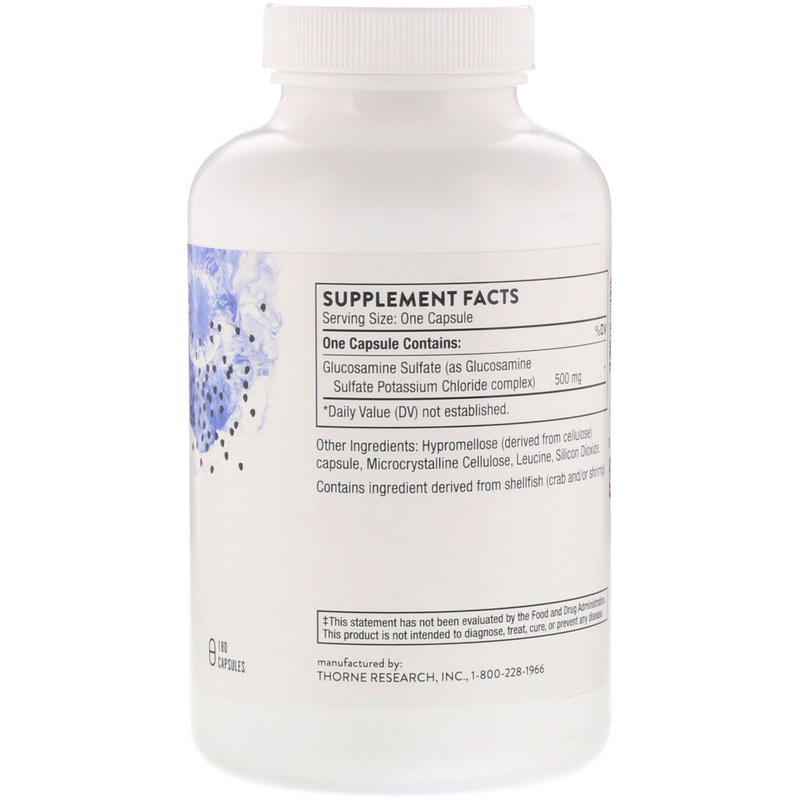 Clinical studies demonstrated a 6-8 week supplementation of glucosamine sulfate promoted healthy joint function and reduced tenderness and swelling. Take 1 capsule three times daily or as recommended by your health-care practitioner. Contains ingredient derived from shellfish (crab and/or shrimp).